Imposter syndrome. For some reason, many of us experience intense periods of self-doubt, waiting for people to realize that we aren’t who we have represented ourselves to be, we’re completely unqualified, and we can’t succeed at our current tasks. It’s easy to trap ourselves into thinking similar negative “imposter” thoughts about our knitting skills. Fortunately, willingness to learn makes the biggest difference in our success or failure. I become a better editor as I develop these pages for you; at the same time, I learn new knitting skills as I absorb the information in these very same pages. Imposter syndrome dissipates if you want to learn and are willing to commit time to honing your skills. You may be afraid of brioche, stranded knitting, or steeking, but whatever your feared technique is, you can learn how to do it! And then there will be another, more challenging technique for you to learn and master. With this education will come confidence, and you’ll realize that you are no imposter. 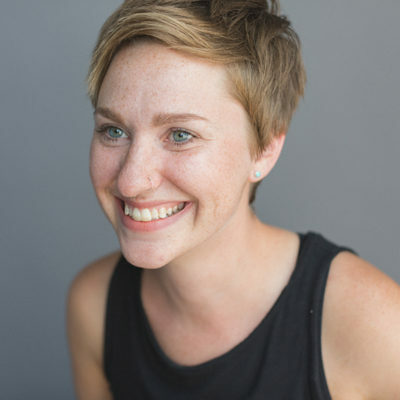 I’m starting to recover from my editorial imposter syndrome, and this issue is a huge reason why. I’m so proud to bring you this particular collection of beautiful, smart patterns. You can become a stronger cable and sweater knitter with the patterns in the Unexpected Cables story, and explore rust-inspired colorways in the Oxidized story. Our very own Joni Coniglio (I like to call her The Great Graftsby) has a tutorial on knitting and grafting small-circumference tube cowls, with three different versions of the pattern to choose from and clear grafting instructions for each. Also, check out our one-on-one Q&A with Karen Templer, the creator of Slow Fashion October, our Indie Dyer and New Designers Spotlight, and our Needle Tips back page for some pointers on medknitation. This issue is perhaps the most rewarding one I’ve worked on yet, and I think it has to do with the confidence I’ve gained from two years of putting in the work and learning how to be a truly effective editor. I hope that the pages of knitscene Fall 2018 bring you as much joy as they have brought me. Thank you for learning with me. P.S. Thank you to the Rialto Theater Center in Loveland, Colorado, for letting us shoot our Unexpected Cables story in their beautiful theater! 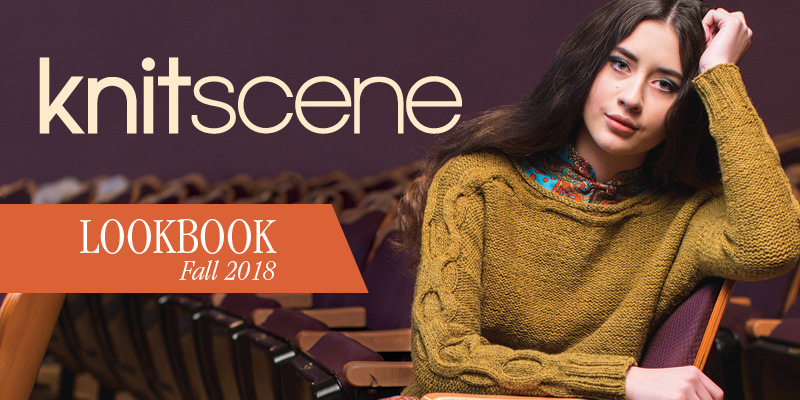 Pick up knitscene Fall 2018 and find that you’ll never want to miss an issue.